we have a data set like below. We wanted to gather some stats on how many days different client(id) stay on each status, before closing.. and also what %age of the total client stay in each stage. A visual representation would be phenomenal. I would greatly appreciate if you can share a sample process that would does gather these metrics. Nice graphs, @lionelderkrikor ! 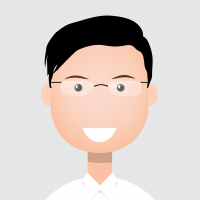 How are you liking the new visualization tools? panel was very intuitive, but in Advanced Charts panel , that was sometimes tricky. RM 9.2 fixs that. a. the only thing that is is not immediatly obvious is to "change color of datapoints" : It tooks me 10 minutes before understand how it works…For me, this method is good… but it lacks contextual help for this operation (« drag the icons to define color order » for example). b. 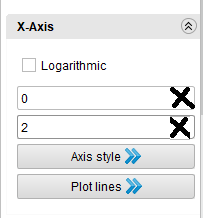 It lacks a feature which just (re)auto-scale the chart after setting a « Axis min value » and/or a « Axis max value » in the « Axis » menus. b. 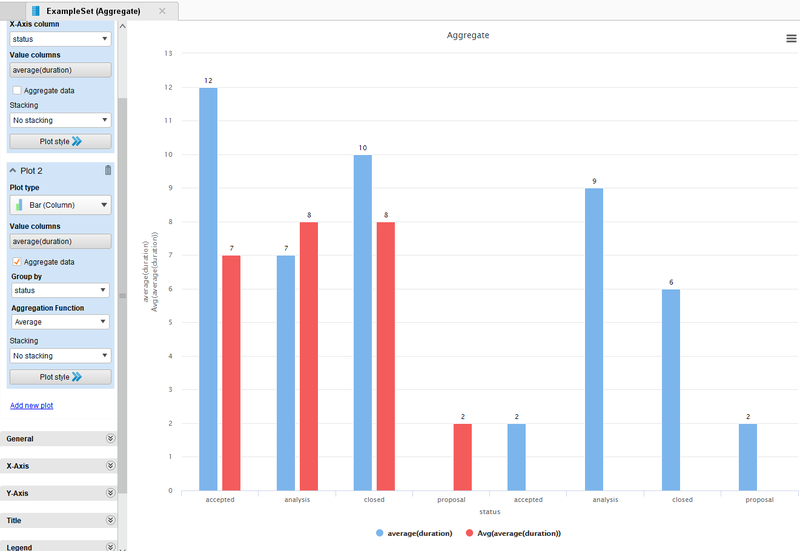 Always with Scatter 3D chart style, Y-Axis graduation "disappears" when we set a new Axis min Value and a new Axis max value. 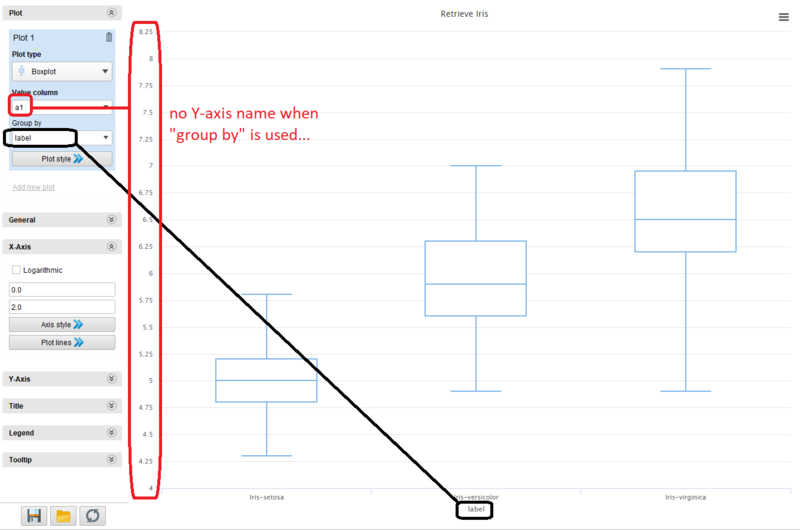 c. With Boxplot and Deviation chart styles, Y-axis name does not appear. 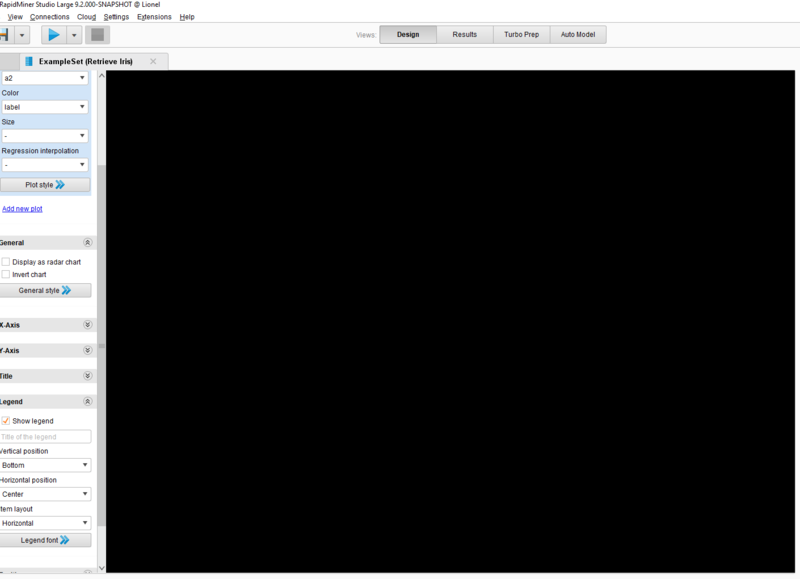 d. Sometimes (random bug), when switching between « Results » panel and « Design » panel,there is a lag of 4 / 5 sec with a black chart screen. 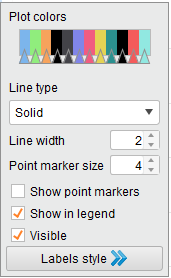 To conclude, I would say that there is (once again) a great work of RapidMiner's team. As you know we always appreciate constructive feedback, @lionelderkrikor. THANK YOU for taking the time to write this up. I'm cc'ing @Marco_Boeck so this goes right to the source. Also, I see you have converted to milliseconds "date_diff([date-1],date)/(1000*3600*24)" can you provide me the rational please. 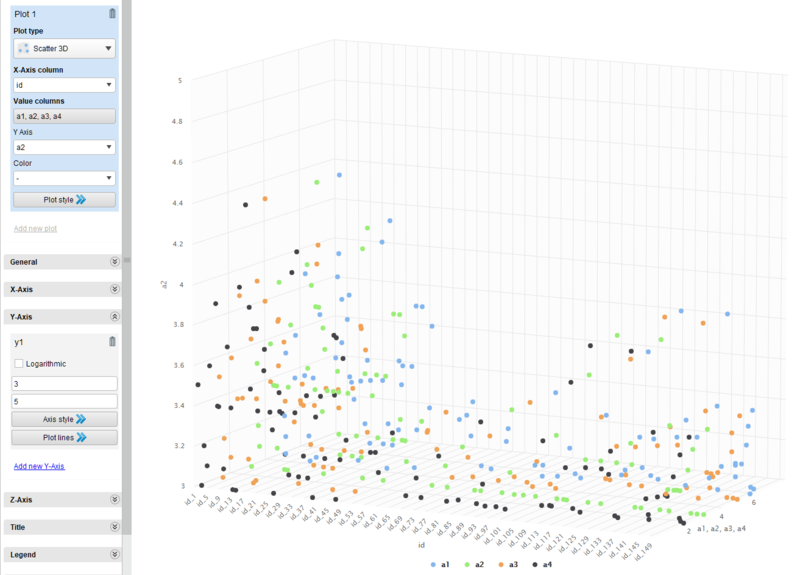 a bit off topic, but your data looks a lot like process mining data. you might want to have a look at ProM. 2 b) The 'x' is a good idea for those boxes! Until that arrives, you can always just completely remove the entire content from any of the textboxes, and it will go right back to the default. 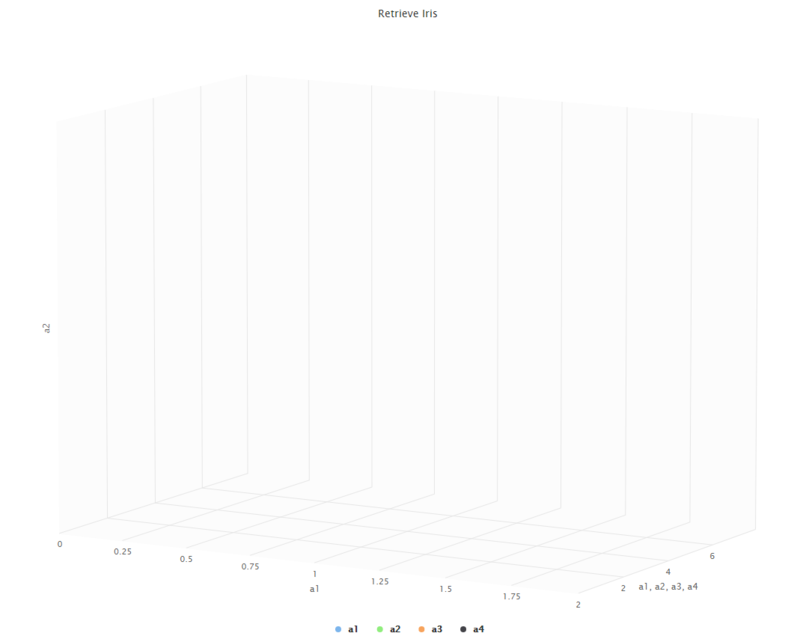 3 a) Hm indeed, seems like axis lines are not showing for 3D plots, ever. 3 b) Works for me, do you happen to have a data set for which it does not work? 3 c) Yep, same as in the old charts. To be honest, I had no idea what to put there, as the attributes are at the bottom already. If you have any good suggestions for Parallel Coordinates, Deviation, and Boxplot, I'd gladly take them. 3 d) Interesting. Never experienced that on our test systems. What operating system are you using exactly, if I may ask? 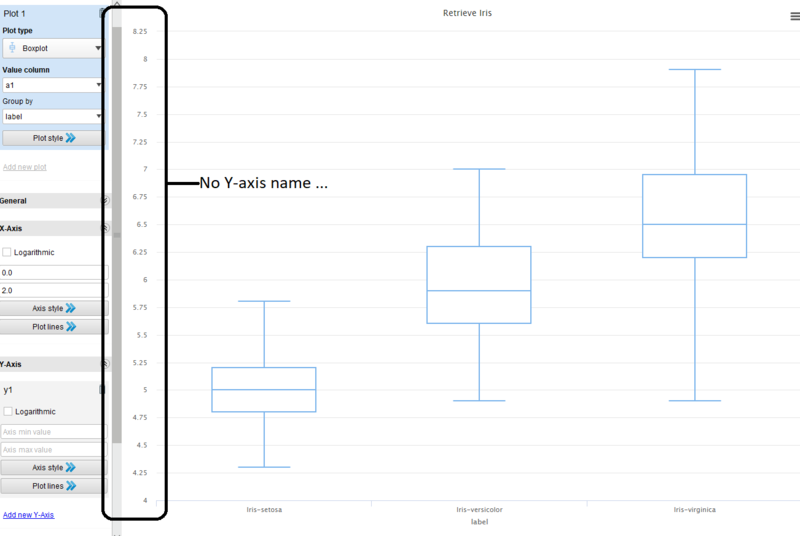 I'm using the Iris Dataset (in the Samples repository), but I forgot to mention that is when we set a new "Axis min Value" and a new "Axis max value" of the X-Axis (and not the Y-Axis). I'm rigorous, maybe too rigorous... , but I think that all these elements will improve the user experience. And more seriously, once again, I have the feeling that there was a lot of work for this new visualization concept ! So you have a list of clients and a list of project stages, right? How do you store the change between stages? This should be easy to do with a little SQL (hence with RapidMiner operators). If you do a full join between clients and stages, you will have NULL on the stages your clients didn't participate, but it all depends on the shape of your data. Care to elaborate a bit more and see how can I help you? 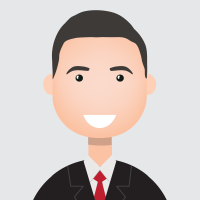 lead(dd ignore nulls) over (partition by id order by dd) - dd as dt_diff. Does RM support "Partion by" ? very sorry about hijacking your question @msacs09 My bad. Does RM support "Partion by" ? 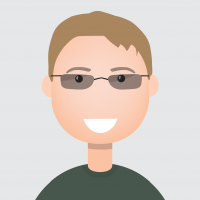 dosomething() PARTITION BY is essentially Filter Example Range or Discretize, followed by what you want to do. At least that's how I understand it.